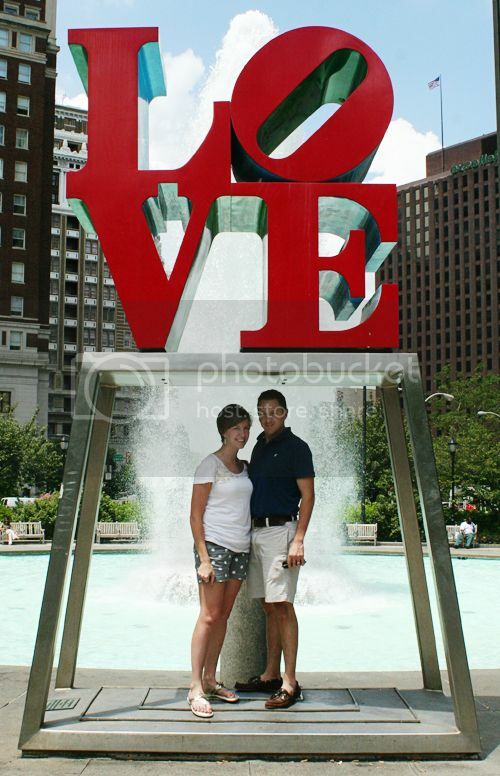 My sweet, thoughtful husband whisked me off to Philadelphia for a little getaway to celebrate our fifth anniversary. It was mostly a surprise--he got nervous about making plans to leave Finley without telling me so he cleared the trip with me first. The rest of the trip was a well-planned out surprise. The day started with free Chick-fil-a breakfast: our cow costumes were just brown stickers on us, but it did the trick. 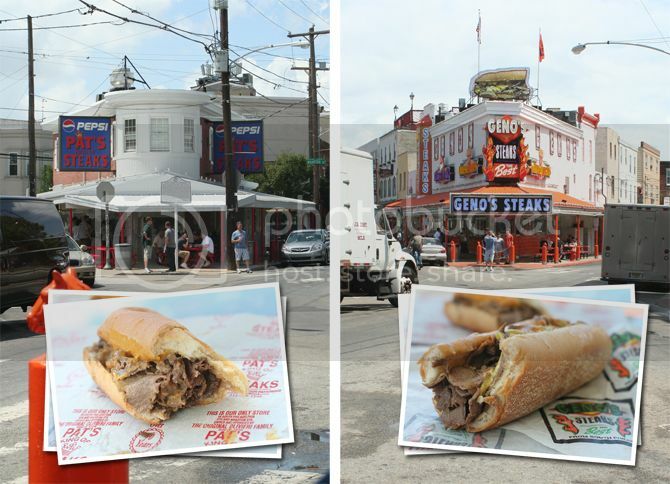 We made it to Philly for lunch and each had a cheesesteak from the two rivals: Pat's and Geno's. They were both good, but Geno's served Diet Coke so they won in my book. This may or may not have been the playground where the Fresh Prince spent most of his days, chillin', maxin' and relaxin' all cool. We spent the day doing lots of fun touristy stuff. 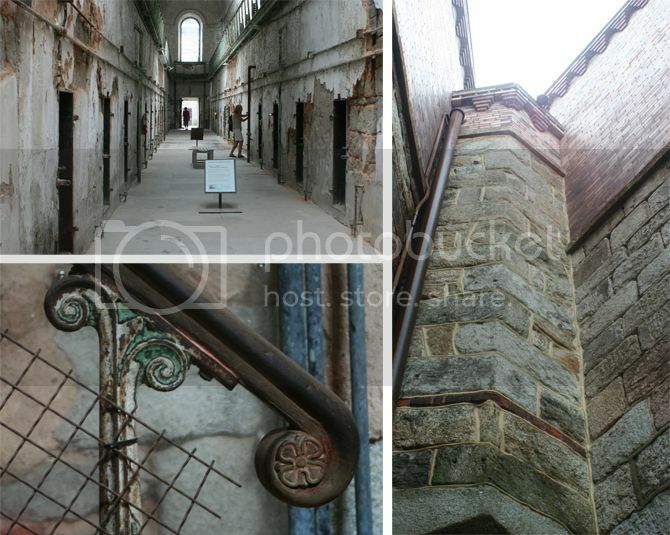 My favorite was touring the Eastern State Penitentiary. It's an old penitentiary that was really quite beautiful and also a little creepy. A very romantic thing to do on the anniversary, right? We also saw the liberty bell and the home of Betsy Ross. Sol had planned an uber-romantic dinner for us at Bistro Romano. We had a private room that was under the street--it used to serve as part of an underground network of tunnels for smuggling slaves and liquor through the city. 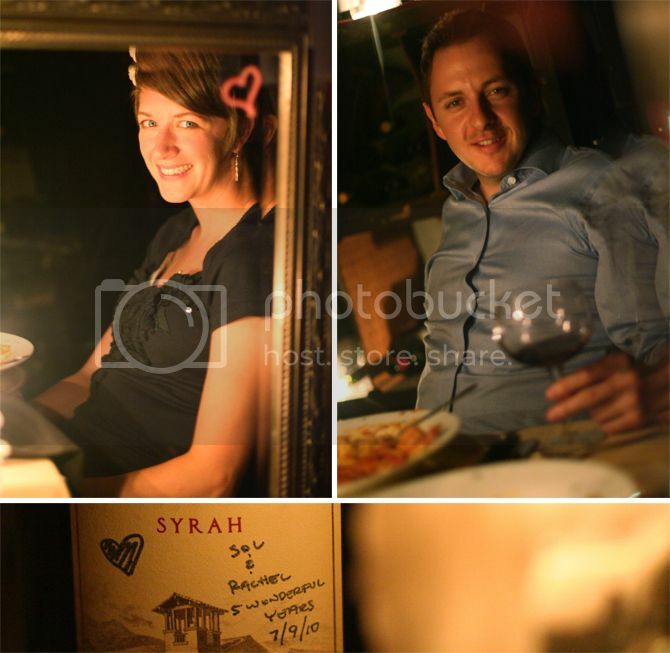 Candles, wine, rose petals, pasta and seafood... all our favorites. I wanted to reminisce and talk about our favorite thing that happened on every day since we got married, but we could only remember specifics until July 12, 2005. The restaurant didn't have the best lighting for pictures, so these individual shots taken in the mirror will have to suffice. It is confirmed: we are still quite in love. Gotta give the husband credit on that trip. Very well done Sol. Are those cute new Sperry's in the last pic? Yay Philly! Glad you had a great time and that restaurant looks amazing! So cute. Little love birds. You should frame the last pic and keep it forever as a fun reminder. So sweet! Karilee told me earlier tonight that Gino's cheese steaks are the worst. And a tourist trap. Also, this trip looks lovely. that playground is where I spent most of my days, chillin', maxin' and relaxin' all cool when I lived in Philly.